Our products are priced in UK pounds and converted to US Dollars ($) and Euros (€). You can purchase units in both USD or Euro on our website. If you would like a quotation in your currency please contact us and we will quote you in any currency and hold that price for sixty days. As of July 1st 2016 RM Frobisher (1986) Ltd is not registered for VAT (currently 20%). VAT does not have to be added to the sale price. Please note that this may change in the future. Buyers outside the European Union cannot reclaim VAT on purchases from RM Frobisher as there is no VAT element. The UK does not currently (July 2016) have a sales tax (other than VAT). The prices listed in our price list are the purchase price, there are no taxes to be added. The UK does not currently impose duties on RM Frobisher’s products (July 2016). Import duties may be imposed by your government/state on products supplied by RM Frobisher to you. Payment of any local taxes and duties is the responsibility of the purchaser. Note: Some countries impose a surcharge on the exporter (payable by the exporter) for goods being shipped within its borders. If this is the case, we will invoice the buyer for the amount before shipping. Supply goods and services without UK VAT to all countries. 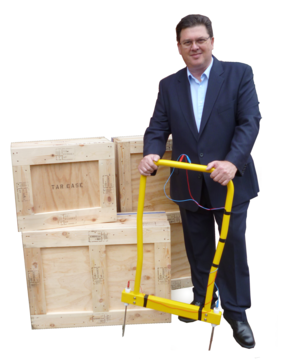 EU member states will add VAT at their standard rate when the equipment is ‘landed’ in the destination country. For VAT registered business this will make very little difference as they can reclaim the VAT. Our products have an import duty of zero percent. As further information and guidance notes are published we will review the information here and update it as required. RM Frobisher (1986) Ltd ship products on Monday to the Middle East; Tuesday to Europe and the Americas; and on Wednesday to the UK this avoids products being in transit over the weekend – Friday, Saturday and, Sunday. We can also ship products for with a guaranteed delivery day/time (at cost). Other slower, lower cost services may be available. Note: Many shipping and transport companies charge by &apos;Volumetric Weight&apos; which is based on the package’s volume or total weight. If arranging your own shipping or transport check the packed dimension before booking with your freight forwarders or shipping agents. 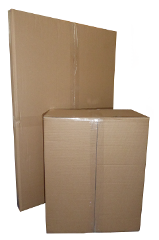 We can supply all of our products in timber packaging. Timber crates are supplied at extra cost. They cost more to ship and are made to order and have a lead time of 15 days. The timber is heat treated in accordance with International Standard for Phytosanitary Measures ISPM15 Regulations and is marked to prove heat treatment with an authorised Forestry Commission registration number.